You may have seen my earlier review of Mystery Girl. This book was so different from what I've read before, but I liked it! Slightly noir, slightly mystery and all awesome. Sound like your kind of read? Well, it's your lucky day! 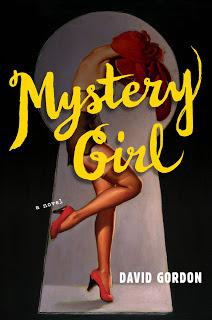 I've been given a copy of Mystery Girl to offer up to one lucky winner! Woohoo!